It is a small step for the world but a giant leap for Bhutan. It is amazing to see the Bhutanese King attired in tie suit with the queen in an equally attractive shirts and skirt [Source: Facebook, July 18, 2017]. 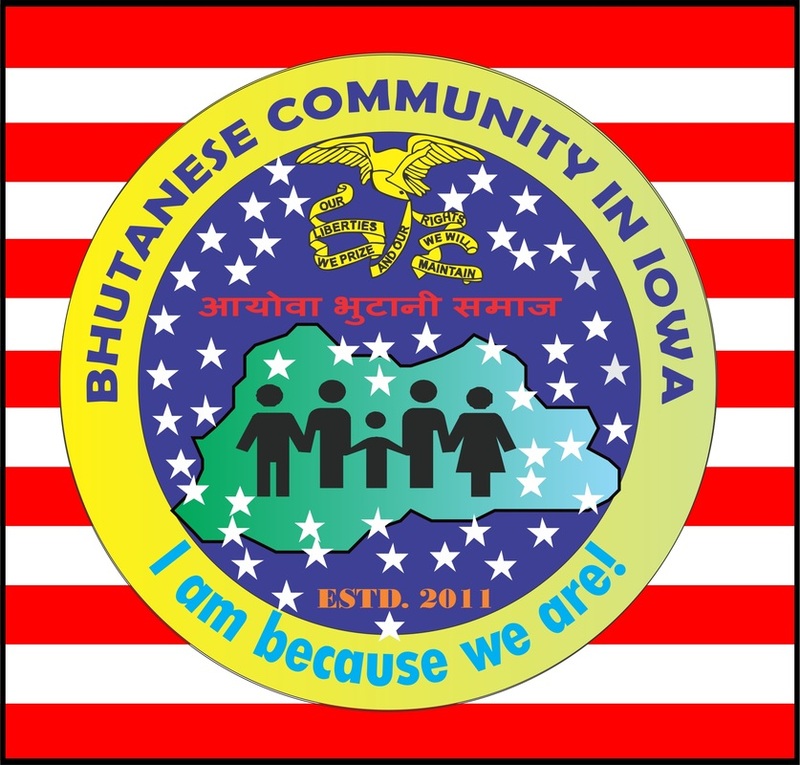 The Bhutanese Community in Iowa, USA salutes this as a step in the right direction. As somebody rightfully said the royal couple is the cutest couple in the world. It is after a span of some 25 years the Bhutanese monarch has demonstrated such a gesture which will hopefully go a long way in establishing Bhutan as a tolerant nation bypassing the dogma that Bhutan is the only country in the world which restricts the choice of wearing a dress the people like. The King’s bold step will understandably signal the rest of the population in Bhutan a sigh of relief – that the strict dress code requiring you to wear the Drukpa dress is relaxed. Shakespeare said, ‘You eat to please thyself but dress to please others’. Definitely he did not mean to please the rulers. Once an American journalist was interviewing young girls in Thimphu wherein he asked,’ who is your favorite celebrity?’ The girl promptly replied Jennifer Lopez. Then he told her you do not dress like Jennifer Lopez and you do not speak or act like her. It was visible that the girl wanted to be like her but the environment she lived forbade her to do so. Her dream was to go boundless, to explore the world - into the global village. Another commendable work of the Monarch is that he built a huge Shiva temple in Samchi, South Bhutan. Although this report is not confirmed, it is possible to believe as a step to pacify the southern Bhutanese population by trying to promote the unique culture and freedom of worship. Since the late eighties the cultural expressions of the predominantly Hindu population have been at stake and they had no option but to submit to the whims of the rulers. There is a lot for the Bhutanese rulers to do before they can undo the human wrongs. They should come into terms with reality instead of spreading their political rhetoric. First, they should reinstate the teaching of Nepali language in schools in south Bhutan. 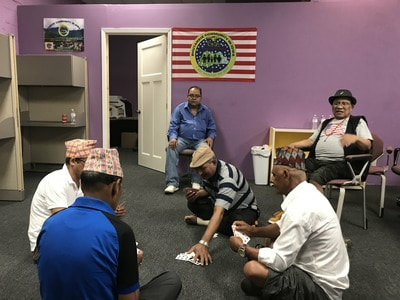 Second they should repatriate the Bhutanese refugees from camps in Nepal and settle them in their original homesteads in Bhutan in human dignity. Third, racial tolerance should be practiced by all Bhutanese as a benchmark for unity in diversity. Fourth, the mandatory dress code should be lifted and a more acceptable dress norm, as per the aspirations of the people, may be adopted. Fifth, freedom of worship for all should be practiced in full measure which will allow Hindu pilgrims to move freely within the country and building more temples and rest houses. Sixth, the government should end economic disparities and allow equal opportunities without any discrimination and return cash crop plantation to their rightful owners. Seventh, legislation must be done to provide full-fledged citizenship to all the southern Bhutanese who have been otherwise deprived of owing to unfair governmental regulations. Let us remember David Thronson of Harvard law University saying in his book Bhutan-Cultural Cleansing that Citizenship Law of Bhutan is a Prescription for Statelessness. These two measures of the King may be like an oasis in a desert. He can make the difference if he is sincerely committed to the universal values of human dignity and fundamental freedoms. The country is still not in order given the gross national happiness propounded by the fourth King. The concept is good but the implementation is hopeless. What is GNH to one-sixth of the country’s population rendered stateless? What does it signify when there is rampant human rights violation- covertly or overtly on the citizens? Where is the GNH? Theories would not solve the problems of common man. It needs clarity of thought and determination of purpose to touch the hearts of the people. Rulers should not make them different but make a difference in their lives. We hope the reigning monarch His Majesty the King Jime Khesar Namgyel Wangchuk will take the lead. ​Initially the BCI held sports tournaments for Soccer and Volleyball in the years 2010 – 2012. Then there was a late entrant Cricket. In September 2015, all these sports events were held. In September 2016, a sports event was organized in Des Moines which included soccer, volleyball, cricket, Table Tennis, Badminton, sack race etc. 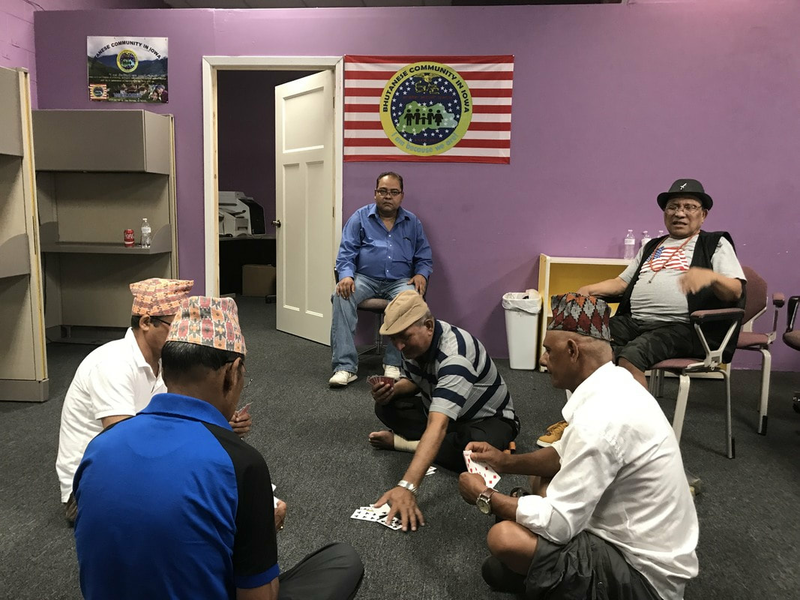 The BCI teams have also played with 5 teams in South Dakota in May 2017 and a regular weekly cricket match with Indian Premium League who have 17 teams and 1 Bhutanese team. Also our youths played cricket match in Georgia. There is a Midwest soccer tournament in the offing. In the meantime, the BCI witnessed a soccer tournament, an offshoot of the world refugee day celebration, on 8th July 2017. The matches were organized by the Refugee Alliance of Central Iowa at the valley west soccer field. The participants included the immigrant population in Des Moines and outskirts. The main goal of Elderly program is to enable Bhutanese elders avoid social isolation thereby reducing the risk of problems related to mental health, and providing them with an opportunity to express themselves through different means of social interaction so that they feel rejuvenated and taken care of. The BCI annual general meeting held on July 22, 2017 discussed on a wide variety of issues surrounding the organization and declared a number of activities which is expected to attract attention of the members of the community. 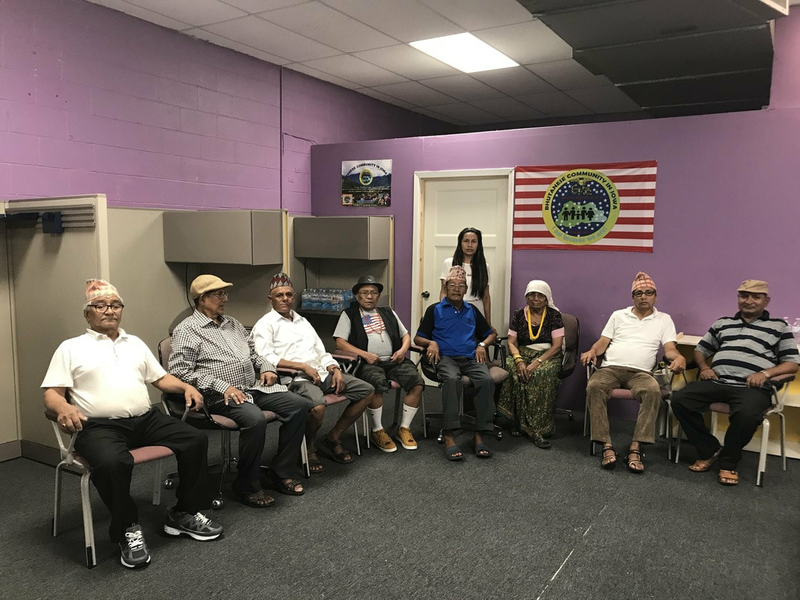 The AGM was attended by leaders and members of the sister organizations namely Bhutanese Hindu in Iowa, Bhutanese American Buddhist Society of Iowa, Kirat Society of Iowa and Ray of Hope Inc. The meeting began with the introduction of the leaders including the five board members who spearheaded the meeting. Then information about the BCI report in the form of the Journal and also about the projects undertaken were highlighted. It was discussed that the fundraiser Dinner with BCI was dropped because of internal reasons but was announced that with the support of all members, the program will once again go functional in the future. It was reiterated that the services of the BCI is going on a full swing and the participants were requested to inform people to take this free benefit. Discussions were also held about the both the cash and kind donations received by the organization and the cash contributions received from internal and external sources. The AGM was informed about the present challenges of the BCI which were financial constraints, inadequate public involvement, and internal conflict because of members not taking principled stance in matters of importance. The AGM was apprised of the upcoming events and activities. It was declared that there shall be a cultural program on September 3rd, Midwest Soccer Tournament on September 2nd – 3rd, 2017 and likewise, Shito Karate Do, a martial arts program will be introduced in the coming future Similarly Yoga, music and dance class will prevail too. Finally, the BCI board members requested those present to spread this message to subscribe and read the BCI Journal, sign up for monthly donations, purchase BCI T shirts, bring guest to the Dinner with BCI program, volunteer in the BCI projects and services. My name is Shankar Pradhan. I was born in Duarpane village of Samchi district in South Bhutan. I am 70 years old. We moved to Sukriti, another village in the same district. 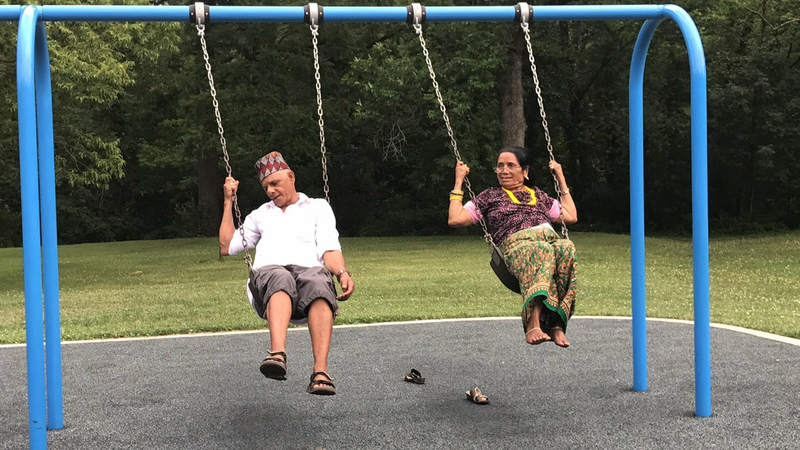 Later my family moved to further south in the Indo Bhutan border adjacent to Indian town of Chamarchi, All my big family members were born in Bhutan. Historically, things were good. The government gave land to the landless and helped achieve agricultural sufficiency. The southern Bhutanese were free to wear their cultural dress, daura sural and decorative knife the Khukuri anywhere they went. But that was not remain for long. Soon the stooges of the government hatched out conspiracy to force people to wear no other dress but the northern Bhutanese dress goh and Kira. It was also ordered that women should not wear their traditional ornaments including the sindoor and Potey , the symbolic wear of married women. Many refrained from obeying this order but anyone going to the government office were made to follow this strictly. Yet another order of the government was to uproot the citizens inhabiting the border by creating a one kilometer green belt. People were asked to pack off to other places. The government sent some of the landless people to Chuakha, north of Phuntsholing, the gateway to Bhutan. It was learnt the green belt policy failed because of opposition from some countries. The root of the problem that sent my family out of the country is the implementation of the census which categorized the south Bhutanese into seven different categories. Only the F1 were allowed to stay in Bhutan. I was out of town when my family was evicted and our land given away. When I returned to see my empty home, the authorities asked me to leave threatening me to send to police. The Tshogpas or village elders deputed by the government did not support me either. In October 2008, I came looking for my family in the eastern Nepal Bhutanese refugee camps. I discovered them there and we lived as a refugee in Sector A2/62 in Khudunabari camp. Presently, my six-member family live in 400 E Phillip Street, Des Moines, Iowa in the United States of America. Everyone, as a member of society, has the right to social security and is entitled to realization, through national effort and international cooperation in accordance with the organization and resources of each State, of the economic, social and cultural rights indispensable for his dignity and the free development of his personality.